The Swiss Re Group, based in Zurich, is a leading wholesale provider of reinsurance, insurance and other insurance-based forms of risk transfer. Dealing direct and working through brokers, the company’s global client base consists of insurance companies, mid-to-large-sized corporations and public sector clients. Founded in 1863, the company operates in more than 25 countries with 12,500 employees at 70 global locations. Swiss insurance companies maintain an unmatched reputation for stability and high standards. Not a single company has experienced catastrophic failure since the industry’s inception in the country over 150 years ago. This is primarily due to regulations set by the Swiss Financial Market Supervisory Authority to ensure stability, secure investments and protect against misconduct. Swiss Re is one of the world’s largest reinsurers. Technology is at the heart of the company’s success, ensuring that customers receive the capital strength, expertise and innovation power to enable the risk-taking upon which growth and progress depend. Staying competitive in Switzerland’s highly regulated insurance industry requires innovative thinking and a vision for the future. Several years ago, Swiss Re began the process of transforming its approach to application development. For a long time, the company had invested heavily in a three-tier application development approach, allowing the IT organization to service the business adequately. However, more than an adequate solution was needed to take IT’s value to the business to a differentiated level. Tomasz Kosturek, a platform architect at Swiss Re, joined the company during this transformational time. Kosturek was selected to lead the Platform-as-a-Service (PaaS) stream, a part of the company’s internal Cloud Initiative, and was tasked with introducing a modern application hosting platform to fuel the company’s IT transformation. The primary goal was to accelerate the application delivery process by introducing a highly standardized and automated ecosystem. Originally from Poland, Kosturek had spent his career first as a business analyst, then as an integration specialist and then in IT operations, finally arriving at Swiss Re in a middleware engineering role. This experience enabled him to approach the DevOps movement at Swiss Re with a unique understanding gained from the roles he had personally held. This range of experience provided a strong skills foundation as Kosturek embarked on his journey with Cloud Foundry. Early PoCs were conducted on-premise as the organization familiarized itself with the technology and the possibilities it held. 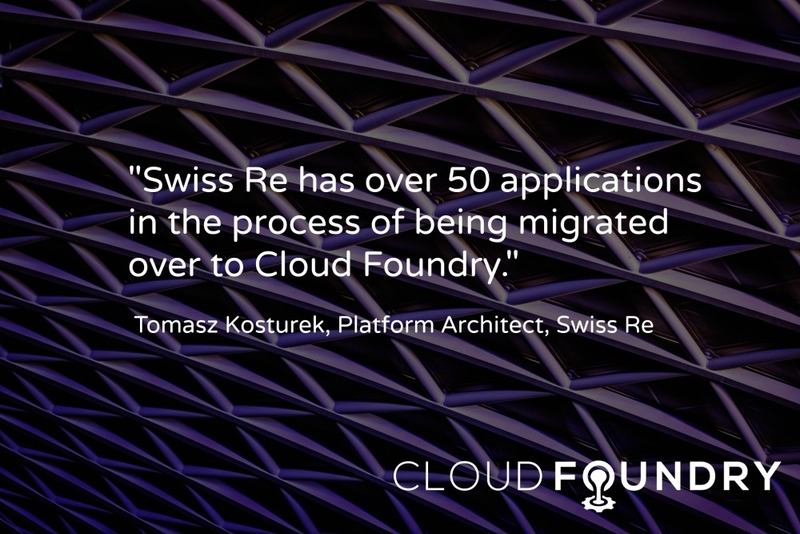 In late 2015, Swiss Re ported over to the Swisscom Virtual Private Application Cloud, a Cloud Foundry-based platform running on OpenStack. Swisscom has one of the largest in-production industry standard PaaS built on OpenStack. 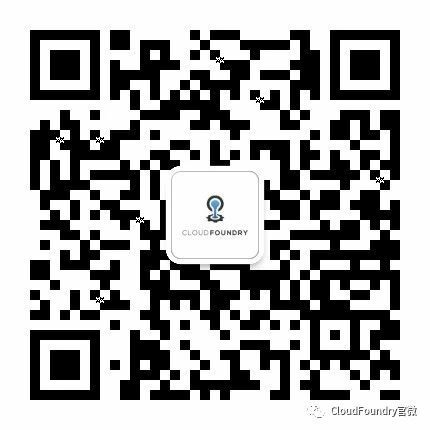 Their offering focuses on providing an enterprise-grade PaaS environment to customers worldwide and with various delivery models based on Cloud Foundry and OpenStack. To enable rapid development and delivery, Swisscom is running numerous OpenStack stacks, purposely all limited to a single region and availability zone. These stacks range in size from a handful of compute nodes to multiple dozens of compute nodes and are scaled based on the needs of specific workloads. These multiple smaller stacks benefits customers such as Swiss Re by supporting hosted workloads that can be migrated between environments. At Swiss Re, over 400 java applications are planned to be migrated over to the Swisscom Virtual Private Application Cloud over the next few years. In addition, in April 2016, Swisscom announced that Swiss Re would be moving to the Swisscom Cloud which will provide infrastructure, a development platform and runtime environment, databases and IT service management from a single source, adding further benefit to the organization. In terms of how Swiss Re will roll out new applications using Cloud Foundry, the company is taking a well-thought-out, conservative approach. For example, architecture patterns like microservices will be used to enable continuous delivery, but only where appropriate. “We don’t intend to rebuild or replace all of our web applications. Many of them can run on Cloud Foundry with minor refactoring. On the other hand we do have a transition platform on-premise where certain applications will run until they are ready for Cloud,” said Kosturek. Transformation necessitates change, which can often be uncomfortable, unwelcome and generally difficult. Often, it is only when an organization reaches the other side of the chasm that its people realize it was worth it. “What gets me excited to come to work every day is the knowledge that what we’re doing – this transformational journey that we are on – is working,” said Kosturek. “I work with an amazing group of smart, motivated people. It is incredibly important for enterprises to understand that you have to find the right group of people who have the determination and energy to pursue such a complex change – challenge the status-quo and deliver.